I had a minor victory during our vacation at the beach. I only gained two pounds. I usually put on a solid 10. Jennifer and I walked every morning, I played tennis with the kids every day, and I had my day at the dentist (more on this at a later post), which slowed me down a little. As most of you know, I love food. My number one question on vacation is “Where are we eating lunch?”. My #2 question, usually during lunch, is “Where are we eating dinner?”. I’m sure some of you can relate. At the beach, I love to eat seafood. 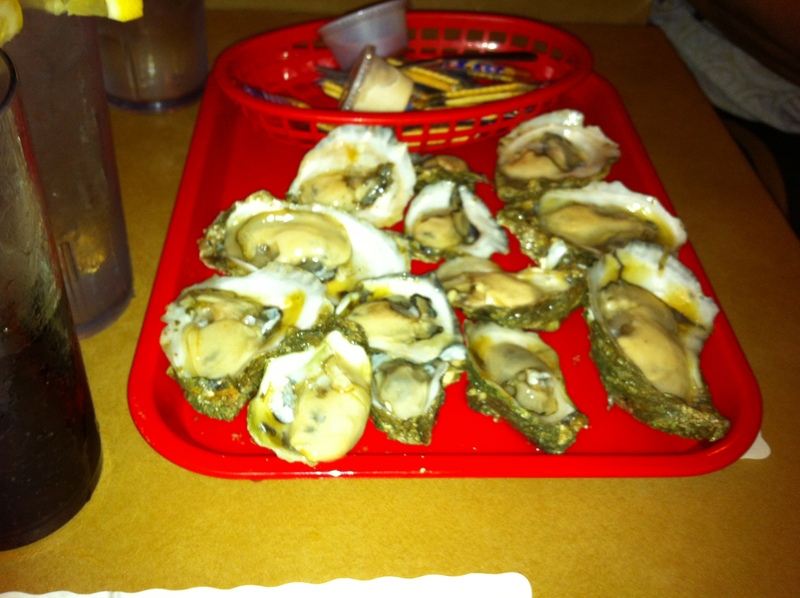 I ate raw oysters on the half shell, fried seafood platters and even had grilled fish a couple of times. The Red Bar is Grayton Beach is one of our favorite dives. Anyway, I love seafood but my favorite food is a Cajun classic: hot boiled crawfish. What is your favorite food? If you could eat anything from any restaurant in the world, what would it be? Let’s hear it. So jealous you went to Red Bar. LOVE that place. My favorite vacation food… bacon-wrapped shrimp at the Mucky Duck on Captiva Island. Yum. In ATL: Houstons. Spinach & Artichoke dip w/ a salad. Yes, a salad, you did not misread. She Crab Soup from Hank’s in Charleston! I love it also. Too bad I decided to share a bowl with Heath. One of the worst decisions of my life. Seafood is DOMINATING the favorite foods list. I’m thinking we need to start a Graystone Beach Campus in the future. The Dry Aged Steak for 2 at Kevin Rathbun’s Steak.